With the countdown to 2016 officially on we take a moment to reflect on the social media sources that kept us digitally inspired throughout 2015. Here are our #top6 favourite Instagram accounts of the year that was! Often a lavish daily theme connects the posts - a colour, a room, a material or finish. All vastly different styles, but always cohesive in some form. 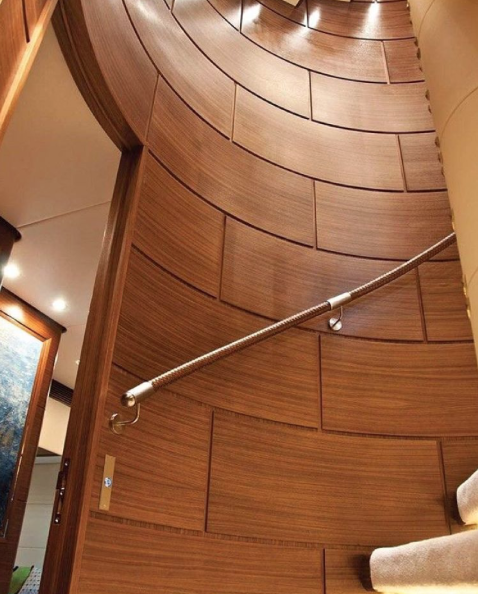 Luxury yacht inspiration. How nice it would be to sail around the Greek islands in one of these! A girl can dream . . .
A visual snapshot of items to covet! Gorgeous watercolour illustrations and luxury brand collaborations, need I say more? The hand-drawn quality is ethereal and feminine. The US magazine that shares all things style! Whether it is decorating a dining table or an entire home, they have it covered. My favourites have to be the celebrity home tours because who doesn’t love a stickybeak into the lives of the rich and famous? Serving uber contemporary architecture and design. Stay up to the minute with all things matte, marble and minimal! Love her or hate her, there is no denying KW is the reigning queen of interiors on Instagram! We love her ‘candid’ pics as much as her eclectic style. Kelly’s mantra: mix metals . . . and pretty much everything else! On home shores, the darling Megan Morton captivates Insta audiences with her unique, eclectic and honest style. From food and interiors, to fashion and travel, MM is one to watch!